Unified Communications as a Service (UCaaS) offers collaboration and productivity benefits to any organization, especially firms with multiple locations or remote workers. As companies take a serious look at options to upgrade their communications, UCaaS adoption is soaring. One recent study revealed that 60 percent of enterprise tech today is delivered through the cloud as a service. Among companies considering the switch to UCaaS, the need for use cases and case studies is growing. Read on if you’re trying to determine whether UCaaS is the right choice for your business, or gather evidence to prove the value of hosted cloud communications to your boss. These two case studies provide insights into how real organizations succeeded at high-risk implementations in closely-regulated industries..
“Our students, faculty and the broader community expects Montgomery College to provide a best-in-class education experience” says Carl Whitman, VP of Instructional and Information Technology and CIO at Montgomery College. As one of the largest community colleges in the nation, Maryland-based Montgomery College (MC) serves nearly 60,000 students each year at three distinct campus locations. Whitman and other officials knew their existing communications tools weren’t unified, cloud-connected, or capable of delivering the seamless experience their stakeholders deserved. MC's challenge was related to high expectations and tough use cases. MC students expected mobility and a seamless, multi-device user experience. MC faculty and administrators needed the ability to work from multiple campuses, often within a single day. Educational institutions face heightened compliance requirements, including a need for disaster recovery planning. Their existing communications tools consisted of “disparate” platforms hosted on-premises, which just weren’t cloud-compatible, easy to integrate, or future-proof. Montgomery College adopted a BroadSoft-powered communication and collaboration solution hosted by Atlantech Online, an experienced local BroadSoft partner. This solution included more than just standard cloud phone systems, giving MC all-in-one access to contact center, HD voice and video conferencing, instant messaging and presence, desktop sharing, and online collaborative workspaces. The new UCaaS solution also offered built-in integration with the productivity apps MC faculty and staff already relied on. The new UCaaS solution offered all-in-one access to rich communications, allowing a centralized solution for MC staff and faculty to make voice and video calls, do desktop collaboration, send instant messages, and share files. The selected UCaaS platform, BroadSoft is a mobile-first cloud communications platform. MC stakeholders unlocked a consistent user experience from any of the campus locations via desktop, laptop, smartphone, or tablet. With integrations from other apps and data sources, Montgomery’s “connected campus” communications to staff and students are context-rich and streamlined. This includes effective, personalized alerts and reminders to students. To learn more about Montgomery College’s success with BroadSoft and Atlantech, click here to download their case study. Mobility and reliability weren’t optional for one commercial law firm with 170 employees across over 12 office locations. In a business where voice communications are crucial, their phone calls were powered by a standalone private branch exchange (PBX) that connected to the publicly-switched telephone network (PSTN) at each of their law offices. Their IT staff lacked the resources to keep all of the PBX systems up-to-date, and their business continuity processes suffered. One office’s PBX outage resulted in a total lack of phone service for days on end. There was no question the firm needed to make a switch to a new solution that offered superior mobility, easier maintenance, and a broader featureset for on-the-go productivity.The existing PBX phone systems needed more ongoing maintenance and upgrade work than their IT staff could deliver. While attorneys and support staff frequently worked from client offices, home, and on-the-road, they lacked mobility and features that supported global collaboration. The law firm implemented BroadSoft's leading Unified Communications platform, with hosted services through a BroadSoft partner. This delivered instant reliability and more features, including cloud-based auto attendant, contact center, and a mobile app for productivity on-the-go. Employees gained the ability to communicate and collaborate from any location or device, including desktops, laptops, smartphones, and tablets. Service is “always on,” thanks to reliable automatic switchover between network nodes in the case of an outage. The dozen office locations share a single communications infrastructure, which has lead to easier scalability and superior visibility. While the case studies for Montgomery College and the law firm have some factors in common, there’s many other differences. Both organizations were operating in highly-regulated industries with multiple locations and a need to support employee mobility. 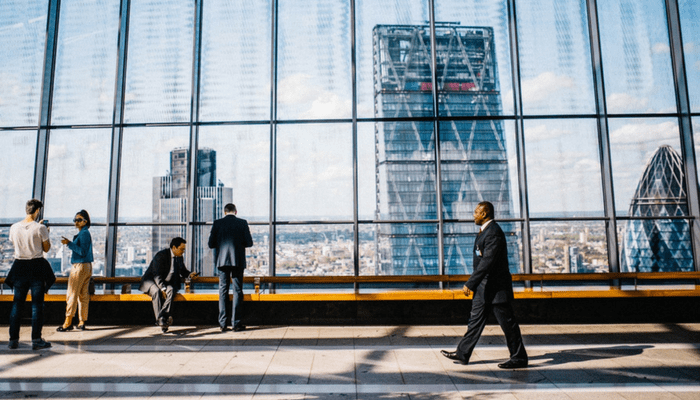 However, while the law firm’s existing PBX solution had become a huge business risk, MC's switch to UCaaS was a proactive step towards next-generation, connected cloud communications. When evaluating the total cost of ownership (TCO) of UCaaS vs. on-premises solutions, the law firm uncovered surprising results. The UCaaS implementation wasn’t more expensive, despite the fact they unlocked new features and capabilities and reduced the IT burden. UCaaS solution can be a financially-rewarding alternative to the large capital expenses of legacy PBX systems or other solutions. For an in-depth look at how the financial investment in UCaaS stacks up to alternatives, look into 10 Factors that Impact UCaaS System Total Cost of Ownership. While the law firm’s phone system had gone down for days on end, Montgomery College’s communication tools weren’t unreliable. However, their decision to make a proactive change enabled them to start unlocking the benefits of UCaaS immediately, remaining a leader in their industry. Both the College and the Law Firm had no tolerance for downtime or high-risk UCaaS implementations, since their business models demanded continuity. With the right BroadSoft partner, transition can be seamless; Montgomery succeeded with a multi-day, hybrid implementation to ensure a seamless switchover. The law firm’s client relationships may have been at stake without the switch to UCaaS. With BroadSoft's mobile-first productivity features, they achieved the ability to work seamlessly at client offices or from attorney’s homes. In competitive industries where client satisfaction is everything, UCaaS can uphold a positive customer experience (CX). Both the College and Law firm had multiple regional sites, which created management challenges before they switched to UCaaS. With hosted Unified Communications, both organizations achieved a robust, unified solution that brought multiple sites’ worth of voice,multimedia, and communication apps into a single system. Montgomery College’s legacy apps weren’t necessarily cloud-compatible or designed for simple integrations. Thanks to BroadSoft’s built-in integrations, both organizations achieved streamlined apps and data transparency for better collaboration. MC's switch to UCaaS enabled them to switch from disparate technologies to a single solution, simultaneously consolidating their vendor relationships into one business partnership with Atlantech. With a vendor that offers a full suite of communication tools, you can find a one-stop shop for all of your communication needs, achieving cost-savings and simpler troubleshooting. For both Montgomery College and the commercial law firm, finding the right, mobile-first UCaaS platform with robust features was key to positive results. However, organizations hoping to achieve similar results should consider more than just the platform. The provider of UCaaS is just as important as the software and equipment. Selecting the right UCaaS partner can help you unlock a seamless implementation and ongoing satisfaction throughout the lifetime of your investment. Before choosing a UCaaS solution, download our free guide on how to evaluate providers, platforms, reliability and more. Check out 10 questions You Should Ask Before You Buy Unified Communications as a Service for Your Business.